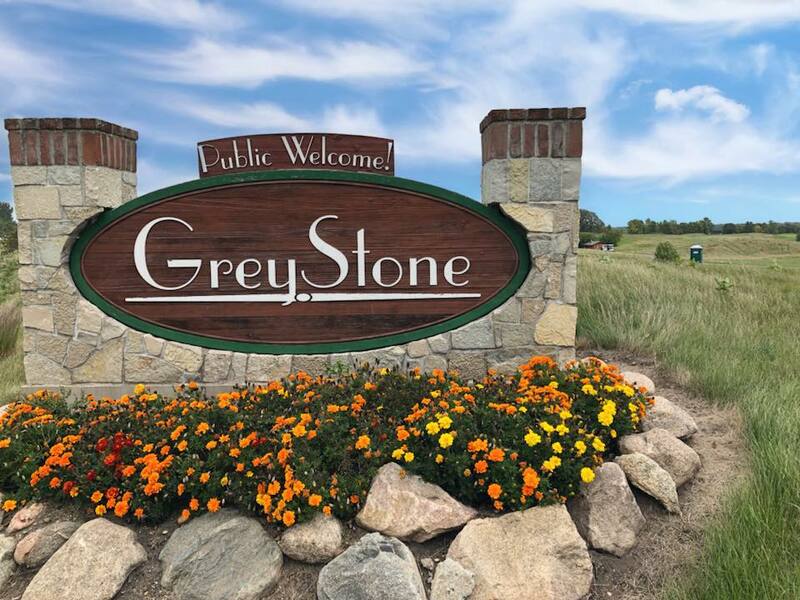 Experience GreyStone Golf Club, a Golf Digest “Best Places to Play” 4 ½ star rated course in Sauk Centre Minnesota. 18 championship holes, open to the public and designed by Tom Lehman, await you. GreyStone Golf Club offers a full service facility with all the amenities. Located next to beautiful Big Sauk Lake, enjoy this Scottish links style course with five holes that visit the woods. The layout is highlighted by big rolling hills, water features, wide fairway landing areas, undulating greens. Every hole offers four teeing areas ranging in yardage from 5395-7059 making play enjoyable for every type of golfer. GreyStone members share a common bond: they enjoy great golf, good food, and fun social activities. Enjoy regular member events, clinics, junior & couples golf & guest play. Looking for the perfect place to host your next golf outing, banquet, meeting or wedding? Lake and clubhouse views provide the setting your guests will remember.